We know that instead of partnering with our emotions, we often dance away from, around, against, and beside our fear, our anger, our sadness, even our joy. What if instead of denying our emotions, resisting them, or persisting with them we could learn to move with and through them to become more fully embodied, creative, loving expressions of our souls? In Heartbeat we practice releasing our hold on our emotions and the hold they have on us. We practice being in the heart of our dance, and dancing into the heart of our being. Join us as we move with the shapes, breath, and locomotion of our emotions, transform them into art, and are transformed by the art of all of our hearts. Tammy started practising the 5Rhythms® in the 20th century, emerged as a 5Rhythms® teaching at the dawn of the 21st, and has been living the rhythms since before she knew they existed. She is an urban life-form who makes New York City her home base and soul inspiration. An itinerant wonderer, she is a 5Rhythms® Global NY and 2014 5Rhythms® Teacher Training staff member, teaching the Waves (2001) and Heartbeat (2010) maps locally and globally. She has made her living as a dancer, a lighting designer, a travel agent, and a librarian. She creates her life dancing the 5Rhythms®. 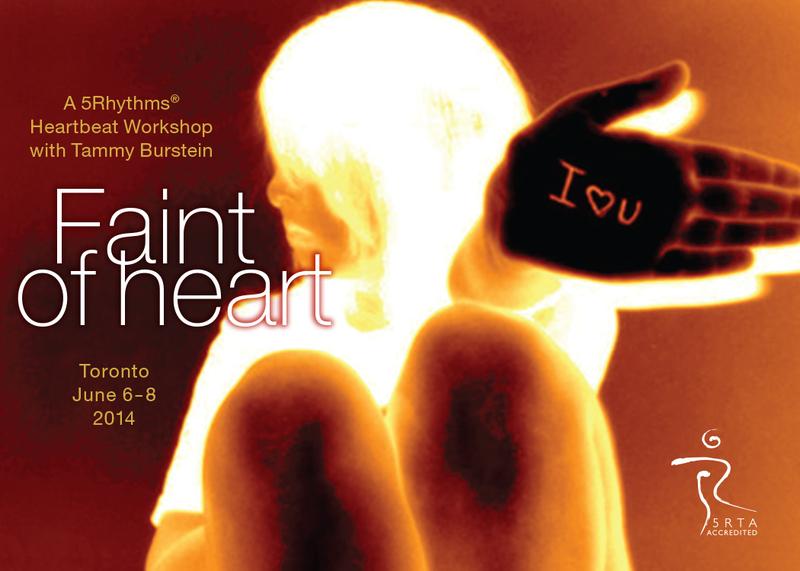 Tammy is an accredited 5RTA teacher and all credits for this workshop will count toward future 5Rhythms® trainings. Friday evening — 7:00 – 9:30 p.m. Cancellation Policy: Full refund, minus a $35 administration fee, up to May 23, 2014. Sorry, no refunds after May 23, 2014.